This NFU classic tells Peter Snell's story, up until just before his triumph at the Tokyo Olympics (he'd already won 800 metres gold in Rome, and beaten the world record for the mile). Snell's commentary — focused, candid — plays over footage of training and some of his key races. "It always gives a feeling of exhilaration to run in the New Zealand all black singlet." 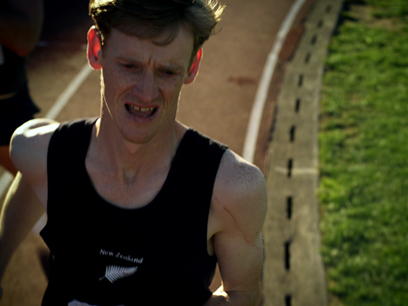 Snell offers insights into the marathon-style training of coach Arthur Lydiard (15 miles daily, 100 miles a week), and there's priceless footage of Snell running through bush and leaping fences in Auckland's Waiatarua hills. 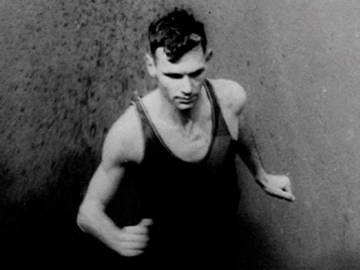 This documentary tells the story of New Zealand sport’s ‘golden hour’, when on 2 September 1960 in Rome, two Arthur Lydiard-coached runners won Olympic gold: 21-year-old Peter Snell in the 800 metres, then Murray Halberg in the 5000 metres. The underdog tale mixes archive footage with recreations and candid interviews (Halberg talks about his battle with disability and doubt). 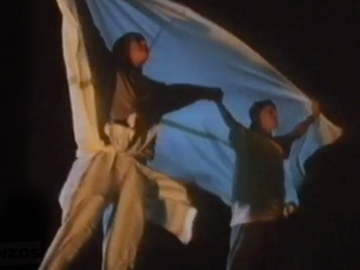 The NZ Herald's Russell Baillie praised the result as “riveting” and “our Chariots of Fire”. 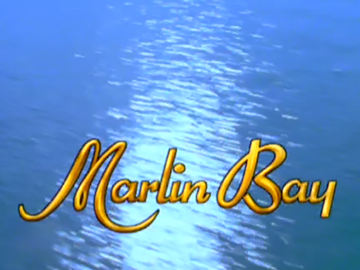 It screened on TV prior to the 2012 London Olympics and was nominated for an International Emmy Award in 2013. Alex is a champion teenage swimmer determined to win selection to the 1960 Rome Olympics, in this adaptation of the award-winning young adults novel. Written by ex Empire Games swimming medallist Tessa Duder, Alex was the first in a quartet of books exploring the vicissitudes of the high achiever freestyler as she deals with rivalry, ambition, first love and the pressures of growing up. Lauren Jackson, who played the title role, later appeared in vampire movie Perfect Creature. 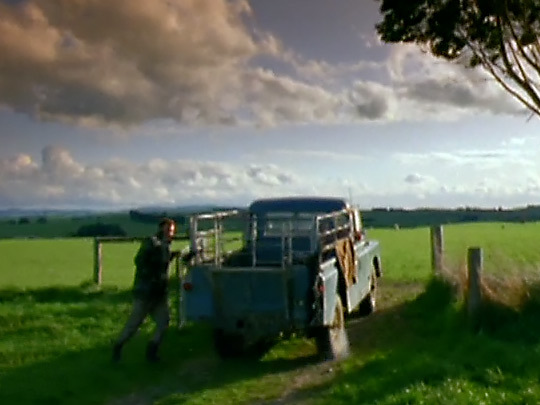 The film was a co-production between New Zealand and Australia. The ‘OE’ is a Kiwi rite of passage, but for those travelling in a Kombi van, the trip can feel “like mixed flatting in a space the size of a ping-pong table” (Peter Calder). 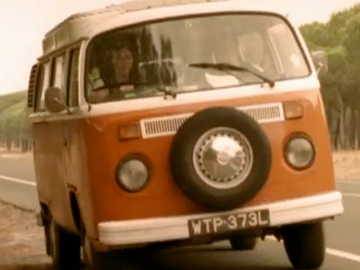 In Kombi Nation, Sal sets off to tour Europe with her older sister and friend; they’re joined by a dodgy male and a TV crew, recording the shenanigans. Shot guerilla style after workshopping with the young cast, Grant Lahood’s well-reviewed second feature anticipated the rise of observational ‘reality TV’, but its release was hindered by the collapse of production company Kahukura Films. 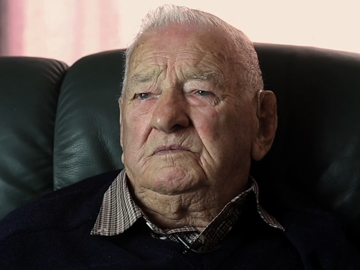 Colin Ramsey was rejected on medical grounds when he volunteered for World War ll, but not long after, he was called up and soon found himself training at Papakura Military Camp. An ambulance driver in the 3rd New Zealand Division, the first part of Colin’s war was in the Pacific. 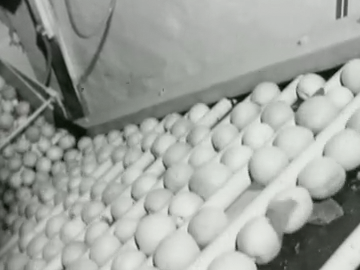 The realities of the conflict hit home while serving in the Solomons. He and his comrades were sent to collect the American casualties of a Japanese bombing raid, a grizzly experience. 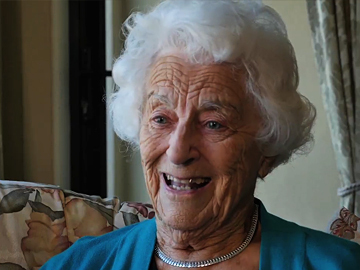 At 93, Colin’s memory is sharp as he vividly recalls his experiences.